Bookhaven Press recognizes that respecting user privacy over the Internet is of utmost importance. This privacy statement is designed to provide information about the privacy and data collection practices for the site: http://federalretirement.net. The Site is operated by Bookhaven Press LLC. In these instances, Bookhaven Press LLC will ask for your name, address, e-mail address, phone number and other appropriate information needed to provide you with these services. In all instances, if you receive a newsletter or other mailing from us, you will always be able to "unsubscribe" to these mailings at any time. What Bookhaven Press LLC Will Do With Your Information. If you choose to give us personal information for any of the purposes above, this information is retained by Bookhaven Press LLC and will only be used by us to support your customer relationship. We will not add you to a mailing list, or newsletter without your registration for this service. We will only contact you if further information is required from you to complete a service and if you requested either Bookhaven Press to contact you. Third parties and affiliates are independent entities and not an agent or partner of, or joint venture with, Bookhaven Press LLC for any purpose. Third parties and affiliates DO NOT have any right, power or authority to act or create any obligation, express or implied, on behalf of Bookhaven Press LLC or www.federalretirement.net nor do they represent Bookhaven Press LLC for any purpose. Bookhavenpress.com and www.federalretirement.net provide links to other sites through various affiliates and third party advertisers that earn commissions. Other Internet sites and services have separate privacy and data collection practices. Once you leave www.federalretirement.net Bookhaven Press LLC cannot control, and has no responsibility for, the privacy policies or data collection activities at another site. Bookhaven Press LLC also owns and operates a number of other websites that we mention and other related helpful sites in the content as appropriate and provide links to them. 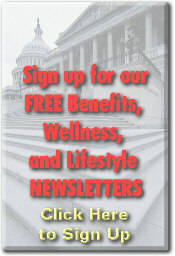 As a result, readers may visit other sites and click on a link to an affiliate marketing program. Text and image ads that appear on this blog may be provided by third parties, for example Google AdSense, Commission Junction, Chitka and Dice. We do not personally endorse the products and services advertised in these ads nor are we responsible for their content. If we do endorse a product in our content and articles it is because we have used or have thoroughly researched the product. Bookhaven Press LLC is not responsible for incidental, indirect, consequential, special, punitive or exemplary damages of any affiliate or third party that is advertising on our sites. The submitted information is forwarded to a third party independent adviser/agent that assist federal employees, annuitants, and the military with retirement planning, insurance, and estate planning issues. 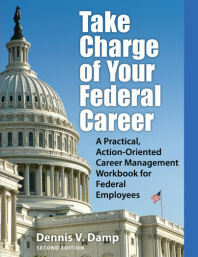 This service is provided by a third party and not affiliated with www.federalretirement.net or Bookhaven Press LLC. Bookhaven Press LLC is sensitive to the heightened need to protect the privacy of children under the age of 13. The vast majority of the material on our web site is not intended for children and is not targeted to children under the age of 13. We do not knowingly collect data from children and, if we learn that we have received personal data from a child, we will remove this information from our database. We know customers are concerned about credit card security. We use Intuit Echo Net, a well known credit card processing firm. Your information is kept private and secure.